As the saying goes, “death” and “taxes” go together. However, you can take advantage of some tax breaks to minimize the income tax arising on death. The lower the tax the greater the funds available to your heirs! They will thank you for undertaking some of these tips. Estate planning sounds ominous. “Estate” and “death” are terms that often go together. However, it’s worth pointing out that estate planning involves more than just income taxes. 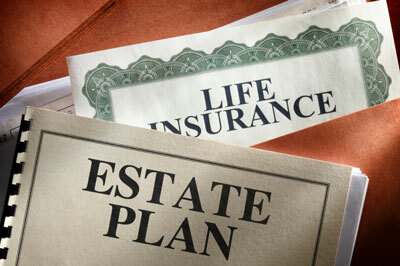 Estate planning is a component of financial planning. It focuses on minimizing the work and difficulties faced by executors while maximizing the wealth passed to heirs. Estate planning is far more than simply having an up-to-date will. In fact, drafting your will should be the last thing you do in documenting your estate plan — all the other steps should be taken care of first. Who are the beneficiaries/heirs to your estate? Family members? Non-family individuals? Charities? Who is to get what? Should your estate be dispersed on death or should it carry on? Who will see that your wishes are met? Are funds to be kept aside for a specific purpose? A disabled child’s care? a grandchild’s education? Are there assets you wish to be shared after death, such as the family cottage? After you determine your estate’s objectives, design and enact a plan to ensure the objectives are reached. It’s vital here to assess the income tax consequences. Avoid planning for your estate and you can leave a significant income tax liability upon your death. As death and death taxes occur at the same time, you may find that in this situation a significant portion of your income is taxed in a top tax bracket and therefore could lose about 45 percent to the CRA. Without trying to be brazen, when you die you leave the Canadian tax system. On death you’re subject to tax for the very last time. The tax rules are generally drafted so that any accrued gains or income you have at the time of your death are subject to tax. A general exception to these rules occurs when your assets are passed on to a spouse/common-law partner. Here the tax can usually be deferred until the death of the surviving spouse/common-law partner. For income tax purposes you’re considered to have sold all your assets at the time of death. The “sale” proceeds are deemed to be the value of the assets at your death. The excess of proceeds over the cost is a capital gain of which 50 percent is taxed. If your assets include rental properties there may also be “recapture” of prior-year depreciation claims (or capital cost allowance — CCA in tax lingo). Recapture is fully taxed. The tax liability arising on the deemed capital gains and/or recapture must be funded from other sources. As a “sale” occurred strictly for income tax purposes you did not receive any cash to pay the tax. In the worst case, the estate is forced to sell an asset to pay a tax bill. On death your registered retirement savings plans (RRSPs) and/or registered retirement income funds (RRIFs) are deregistered and, unless the beneficiary of your plan is your spouse/common-law partner, the full value of each plan is included in the income reported on your final personal tax return. At least most RRSPs and RRIFs provide immediate access to cash, to fund the tax liability by having the plan liquidate the holdings. However, the remaining value to be passed on to your heirs can be dramatically reduced. Live it up while you’re alive and leave the coffers empty when you shuffle off this mortal coil — this is the estate planning motto! A proper estate plan will permit you to live the life you deserve, but on death you may find you don’t legally own a lot of assets — or you’re poor on paper — meaning a low income tax exposure. Perfect! A way to avoid taxes on death would be to rid yourself of all assets (including RRSPs and RRIFs) before you die. However, you still have to live! Your estate plan must allow you to live comfortably until your death and have access to assets you enjoy — like the family cottage. You want to ensure you have enough funds to live on, and you don’t want to get involved with your children’s squabbles over your assets. You also do not want to face a large tax liability now. What to do? Although it’s never pleasant to think of our own demise, the thought of paying less tax usually brightens our day. There are a number of ways you can reduce the income tax exposure you may have at death. If an objective of your estate is to pass assets to your children, why not do it now? The kids may prefer some money sooner rather than later — especially if they have an outstanding mortgage. In passing funds on to your adult children you can do an outright gift (a true early inheritance) or you can lend funds and forgive the loan on or before death. When you give cash to an adult child no income tax implications exist for you, regardless of how the money is used. If you liquidate securities to make the cash gift you may incur capital gains, which would be subject to tax in the year of liquidation. This tax may be lower than on your death, plus you have the cash to pay the tax, and moreover your current tax rate may be substantially lower than your tax rate in the year of death. Consider establishing a trust in which you add cash to fund investments on behalf of your grandchildren. When the grandchildren are under 18 the interest or dividends earned on the investments will continue to be taxed in your hands. However, any capital gains can be taxed in the grandchildren’s hands. Because only 50 percent of capital gains are taxed, an individual can have $21,644 of the capital gains in 2012 and pay no income tax thanks to the $10,822 basic personal tax credit amount that every Canadian is entitled to. So, here you can reduce the size of your estate and reduce the extended family tax bite. Rather than giving funds to your adult children, you can make a loan. The loan can be set up so it’s forgiven no later than at the time of your death. During your lifetime this offers you some control as you can “call” the loan. The loan can be interest-free if your adult child uses the funds to pay down a mortgage, pay for your grandkid’s tuition, fund a vacation, buy a new car, and so on. As your assets grow in value so does the tax liability you will face on death. As part of your estate plan you can implement steps to allow this growth to continue (stock and real estate markets willing, of course) but to not have the growth accrue to your hands. This is accomplished by exchanging a “growth asset” for a non-growth asset. In doing the exchange this will “freeze” the growth in your hands and the tax liability that has accrued as at the time of the exchange. The growth of your asset from the time you acquired it to the time of the exchange or freeze will be subject to tax, but not until your passing. The growth after the time of the exchange or freeze accrues to someone else — your heirs. When the growth accrued to you is frozen, so is your tax liability. At the time of the exchange or freeze the future tax liability can be estimated and steps can be taken to plan for its payment on your death. Often, you can purchase life insurance; on your death the insurance proceeds are used to pay the tax liability, and the estate stays intact. In return for your portfolio of investments you receive fixed-value preferred “non-growth” shares of the corporation. The preferred shares would have a value equal to the value of the portfolio transferred to the corporation and, as the shares are “non-growth,” this value will not grow. The value of the preferred shares would be frozen. The preferred shares would be voting and dividend paying to allow you to control the corporation (that is, the decisions concerning the portfolio of investments) and to take funds out for living expenses. Your heirs, perhaps your children, would subscribe for the common shares (or “growth shares”) of the corporation for a nominal amount, say $100. The future growth of the investment portfolio will accrue to the common shareholders and will be taxed in your heirs’ hands when they sell or are considered, for tax purposes, to sell the common shares of the corporation on their death. Family business succession. An estate freeze is a common technique used by family businesses. It’s often coupled with passing the business to a second generation. The common shares, a growth asset owned by parents, are exchanged on a tax-free basis (well, again, tax-deferred, as noted above) for preferred shares. New common shares are then purchased by the sons and daughters of the second generation. The parent’s tax liability is frozen and steps are undertaken to provide the funds to pay this liability at death. The preferred shares are inherited by the children who become the sole owners of the business. The procedure repeats itself when time comes to pass the business on to the third generation. Tax savings are available when charitable donations are made in your year of death or after your death by virtue of a bequest in your will. To arrange your affairs to make a bequest, contact the “planned giving” department of your favourite charity. If you begin funding a charitable donation to be given on your death (say, a life insurance policy), you can receive an official receipt for yearly charitable contributions (say, annual life insurance premiums) while you’re alive. If you own U.S. assets you can undertake strategies to minimize or eliminate the potential U.S. estate tax you may be subject to. It’s best to contact a U.S. estate tax specialist for further advice in this area. If you’re considering purchasing a U.S. property, see a U.S. estate tax specialist before you make the purchase. Life insurance can be a handy estate planning tool. Life insurance itself does not reduce your exposure to income tax on death — it’s simply used as a means to fund a tax liability on death so the estate does not have to be crippled to pay the tax. Life insurance is most effective when an estate is quite illiquid — say, because the majority of the estate is made up of a cottage or other real estate holdings. A life insurance death benefit payment is not taxable. Because life insurance is, in effect, a benefit to your heirs, let them pay the annual premiums. A power of attorney — sometimes called a living will — lets your “attorney” make health and financial decisions for you when you can’t. This is often considered the last step in your estate plan because you need to visit all the other estate planning steps first. In other words, your will is done after you’ve decided on the objectives of your estate and implemented strategies to meet these objectives while at the same time minimizing your income tax exposure. Trust us — a trust is not solely for the old or rich, overly complex, a “tax scam,” or exorbitantly expensive to set up or maintain. A trust can be a very effective tax and estate planning tool. A trust is an arrangement that separates control and legal ownership of an asset from its actual beneficial ownership. In plain English, this means the asset is owned and controlled by someone other than the person(s) that benefits from the asset (say, in the form of income and/or capital gains derived from the asset). Here’s an example of a trust. The parents of a very young child die but leave funds (perhaps via life insurance) to care for the child. Because the child is so young it’s not prudent to give the funds directly to the child. Therefore, an arrangement is set up (a trust) where the funds are made available to the child (the beneficiary) but control of these funds rests with others (the trustees) to ensure the funds are prudently saved and spent. The trustees have a legal duty to ensure the funds are used properly and solely for the benefit of the child. For income tax purposes a trust is a separate taxpayer. A trust must file its own special tax return if it has income, and it may or may not be required to pay income taxes. Where the trust has a lower tax rate than the trust beneficiary(ies) it makes sense to have the trust pay the tax. Where the beneficiary(ies) of the trust is subject to tax at a rate lower than the trust then it’s best to have the trust allocate its income and capital gains to the beneficiary(ies) so they would be subject to tax and not the trust. A trust arrangement is documented in a trust agreement. It will note the trust’s name (say, the Jones Family Trust) as well as the names and powers of the trustees. The trustees can be given strict guidelines on how the trust is to be run and which beneficiaries get what and when, or — as is the case with most modern trusts — the trustees are given discretion in terms of managing the trust assets and distributing income to the beneficiaries. A trust requires the involvement of three people. The settlor starts or “settles” the trust. He or she sells or gifts assets (i.e., investments, money) to a trust. Usually, the settlor’s “job” is complete after the trust is settled. A settlor of a trust is often a parent who wishes to pass on assets to children. The settlor cannot be able to have the trust property returned to him- or herself. If so, the trust will be considered “reversionary” and the tax benefits expected from the trust will not be available. The sale or gift of assets to a trust is considered a disposition for tax purposes. If the asset has an accrued capital gain, it could trigger a tax liability in the settlor’s hands. However, this tax may be less than the tax liability that occurs later in life, or at death. A capital gain will not arise where assets are transferred to a trust that is a spousal, alter-ego, or joint spousal/partner trust. The individual(s) who will reap the rewards from the trust assets are the “beneficial owners.” Often children are beneficiaries of a trust, especially if they are under 18. The future appreciation in the trust assets will be taxed in the trust or the beneficiaries’ hands and not the settlor’s hands. This is of great advantage where the settlor is at a higher tax rate than the beneficiaries. Trustees manage or control the trust assets on behalf of the beneficiaries. This permits a parent to minimize a potential tax liability without giving assets directly to a child who, at least in the eyes of the parents, may not act responsibly. Trusts fall into two categories: testamentary and inter-vivos (or living) trusts. A testamentary trust is created on the death of a settlor, and a living trust is created while the settlor is still alive (hence the name). Each category of trust is taxed differently. Here are the most common types of testamentary and inter-vivos trusts and when they’re best used for reducing taxes and/or other purposes. The term income splitting — or, as it’s sometimes called, income sharing or income shifting — is used to describe the plans or steps taken to shift income from a higher-tax-rate family member to a lower-tax-rate family member. The family income remains the same but the family income tax burden is decreased, leaving more after-tax income for family living expenses. The idea here is that parents transfer investments to a trust in which the children are beneficiaries. The income earned on the investments is then taxed in the children’s hands. Because the children are expected to be in a lower tax bracket than the parents, the family is better off on an after-tax basis. Attribution of interest or dividends occurs only if the child beneficiary is under 18. Therefore, no attribution occurs when the beneficiaries are adult children. No attribution of “income on income” applies. Interest and dividends earned on the reinvestment of interest and dividends does not attribute. No attribution of capital gains applies. Because only 50 percent of capital gains are taxed, a trust beneficiary could be subject to tax on $21,644 of capital gains in 2012 but pay no tax because of the $10,822 basic personal tax credit amount available to all individuals. No attribution of interest and dividends applies, even when the beneficiaries are children under 18, where funds are loaned, rather than gifted, to the trust. The loan must be made at a market rate of interest and the interest on the loan must be paid within 30 days of the end of each calendar year. The individual lending the funds — say, a parent — would include the interest received in his or her personal taxable income and the trust would deduct the interest costs in determining its taxable income because the interest is being incurred to earn income on the investments. For this strategy to work effectively in shifting income from a parent to a child, the trust assets need to have an investment return greater than the interest rate on the loan. Just as with assets bequeathed directly to a spouse/common-law partner, the deceased spouse/partner on death does not face capital gains and the associated income tax in respect of assets transferred to a spousal trust on death. The income tax on the accrued capital gains on the assets of the deceased is deferred until the later of the surviving spouse/common-law partner selling the assets and the death of the surviving spouse/common-law partner. Like any trust, it has trustees to manage it. Where the spouse/common-law partner of the deceased has little financial experience this permits an element of control. A testamentary spousal trust is taxed at the same tax rates as an individual. Therefore, the same graduated rates apply. This permits tax savings when the spouse/common-law partner of the deceased is taxed at a higher tax bracket than the trust. Therefore, less tax, more funds for the surviving spouse/common-law partner. Like a spousal trust, these trusts are taxed at graduated tax rates. The beneficiaries are often children. Separate trusts are created (usually one per child) as opposed to one trust. This allows the tax savings of the graduated levels of tax to be multiplied. You need to be at least 65 to establish these trusts. Assets can be transferred to these trusts without triggering income tax on the accrued capital gain at the time of transfer. In the case of an alter-ego trust the tax on the accrued gain is deferred until your death. Where a joint spousal/common-law partner trust is used the tax can be deferred until the death of the second spouse/common law partner. They can serve as a will substitute: Because the assets are in a trust they are not part of your estate and do not pass to your heirs as the result of a will. The assets will pass according to the trust agreement. Compulsory succession rules can be avoided. These assets are not subject to a will that could be contested. They can enhance privacy: A probated will is a public document. Using these trusts prevents the public from knowing the value of your estate and who your beneficiaries are. They can serve as a power of attorney substitute: Co-trustees or successor trustees can act on your behalf if you become unable to manage the assets of the trust. A power of attorney is not needed for assets owned by a trust.